hahaha can't download these "classics"
You aren't missing a thing. A child with an unformed palate and no volume control equals one shouting loudly and vaguely hitting some of the notes. I don't like being yelled at by a child... It is NOT cute! Truly effin' horrible , well done sir ! x^D .... you have a way with words, jay!! Jim Gordon played drums on this abominable album?!? This LP must be partly to blame for his untimely mental breakdown, which resulted in the murder of his mother, and his subsequent incarceration (still to this day). 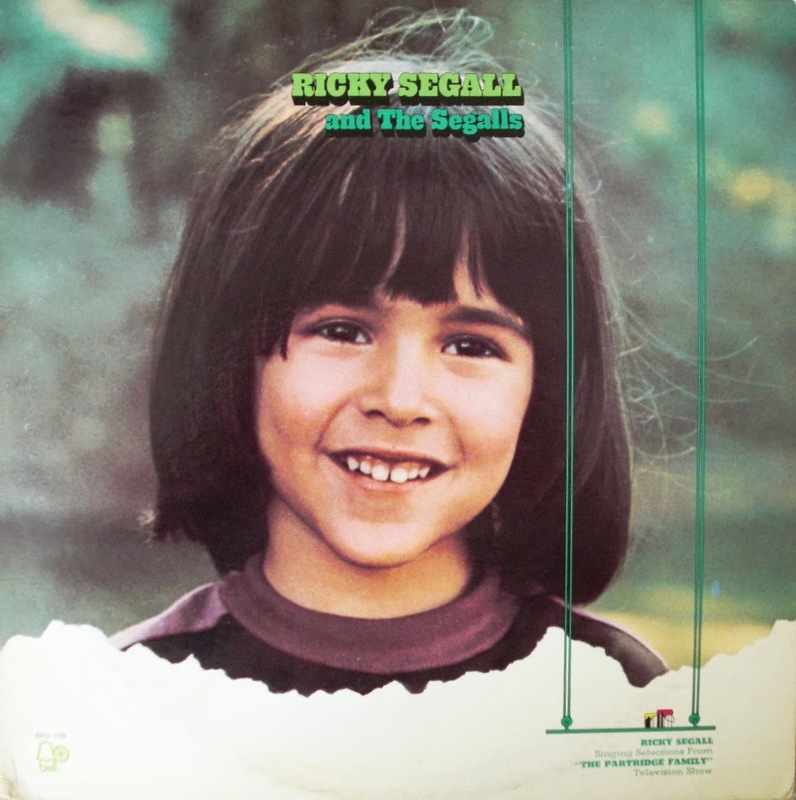 Just watched the first episode introducing Ricky Segal on the Partridge Family. I truly have never ! been a fan of children on TV; but this little boy was the most gorgeous and entertaining child I have ever!! seen in my life. It is unimaginable to me how anyone could bash this beautiful four year old child. (Maybe you think your child could have done a better job.) I think not. Any by the way, I would also say to the "haters" out there; everyone knows that David Cassidy caused the demise of the Partridge Family. Mr. Segall, I hope you are having a beautiful happy life. Unlike the haters, who will never by happy and enjoy anything. anon from 4sept'15: i imagine you are related to ricky, &/or have a tin ear. Lots of hateful people out there, feeling all good about themselves bashing a 4 year old boy ONLY doing what his parents told him to do! From what I've read about Ricky, he's grown up to be a sweet kind adult. And his mother is the biggest nightmare. She is a practising therapist who abused who clients and got caught and suspended. Where are the links - I MUST hear these songs again, after all these decades! Please repost! here you go, all fixed. I've also added your excellent blog to my bogroll - the links on the right hand side of this page. Happy Holidays! Ha ha! Thanks tone! Wow, what a flashback . . . I remember this kid performing "Say Hey Willie" on The Partridge Family back when I was only slightly older than he was. Always wondered what happened to him . . . The early '70s were seemingly the heyday of hit songs by child singers - remember Rodney Allen Rippy ss well? Thanks again for the memories (and thanks for the add to your blog roll)! I raised my original price offering when I realized that there is a market for this gem. See the next comment. I have Ricky Segall's first LP on vinyl in mint condition in the original cover and sleeve for sale for $1000.00 (or else I will choose to keep it). Bidders can go higher. Good luck finding one in as good condition. broken arrows: love it that you paid only $1 for a sealed lp!! good for you; ha-ha! I remember this from my childhood and love the idea of the songs. Listening to it now, it's obviously horrible singing. But...the memories of it overrule that. I, sadly with a smile, remember all of the words to every song. Another similar one...Singin' in the Kitchen..I think it was Bobby Bare. OMG...i remember seeing that Partridge Family episode when it was first run. THe song was god awful but i remember it to this day. Whatever you can run down would be GREATLY appreciated!